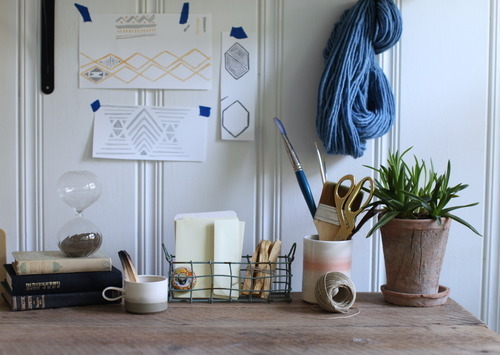 Meet Maggie Pate, the maker and creative genius behind the textile collection, Inks + Thread. We are excited to work with Maggie as our latest Makers Alongside to create the Maggie Top, a silk top with a pattern designed by Maggie. It is difficult to pinpoint when exactly Maggie got started in her craft. Her escapades in the fashion industry began early with modeling at age 13 in New York City and working for designers. Never able to sit still, Maggie knew that she was not built to sit at a desk all day. With an aesthetic driven mind and a love of creativity and fashion, Maggie segued into silk painting in 2010. 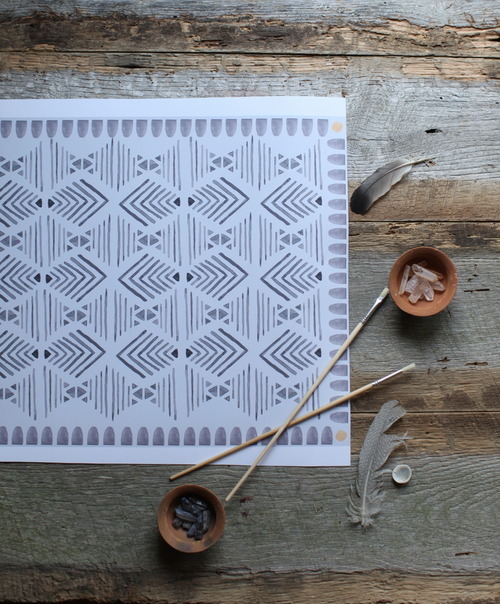 Following Maggie’s move to Tennessee, Inks + Thread came to be after a creative lull in 2012, “there weren’t many outlets here so my best option was to conjure up something for myself.” No later than one year later, Maggie’s first release of prints came out. For Maggie, prints and patterns are a poetic visual language formed by a synthesis of texture, repetition and geometry. Inspiration for her work comes from everything, including the color palette of wildflowers to geometric architecture to the texture and patina of aged metal or cultural symbols. Maggie’s latest fixation is with The Quilts of Bee’s Bend. 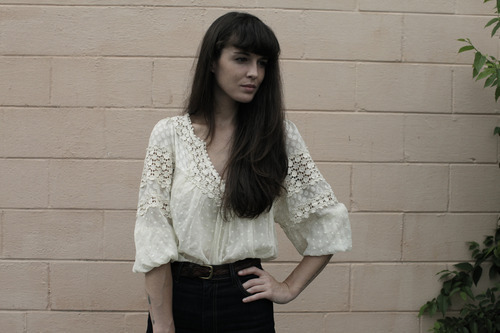 You can buy the silk top for $165 on our website. To keep up with Maggie you can shop on her website and follow her on Instagram, Facebook, Pinterest and Twitter.